MTA makes it easy for schools to deliver technology education through a simple,convenient, and affordable suite of entry-level certification exams. The MTA certification program is good for educators and students, as well as their institutions. Educators are empowered with easy-to-use Internet-based testing, students get the opportunity to earn a Microsoft certification right in the classroom, and institutions stand out as innovative technology curriculum providers. Positions students for advanced technology training. Micosoft Certified TMCSA or MCSD and entry level technology jobs, internships, etc. One exam = One Certification. Career Exploration – MTA allows beginner students to explore a variety of career options in technology with a moderate investment of time and effort. Confidence – Confidence-inspiring credential lead to success with future studies in technology and professional certifications. Community – Strengthen your school and community through technology; Provide your non-college bound students for an entry-level job in technology. Earning an MTA certification helps prove your knowledge of fundamental technology concepts. Having a validated certification from Microsoft can help you launch a successful career. 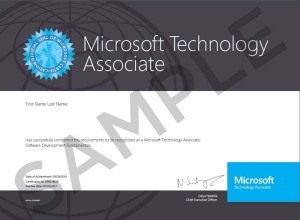 When you earn an MTA certification, you become a member of our Microsoft Certified Professional (MCP) community. You get access to members-only benefits, such as special offers, a transcript tool, and private newsgroups where you can network, find peer support, and share your accomplishments with millions of MCPs worldwide. The MTA certification provides the foundational knowledge necessary to pursue Microsoft Certified Solutions Associate (MCSA) or Microsoft Certified Solutions Developer (MCSD) certifications. The MTA certification creates a new entry point to help those who are new to IT to jump start their careers. If you already have an in-depth understanding of and hands-on experience with Microsoft technologies, you might want to start with an MCSA certification or an MCSD certification. 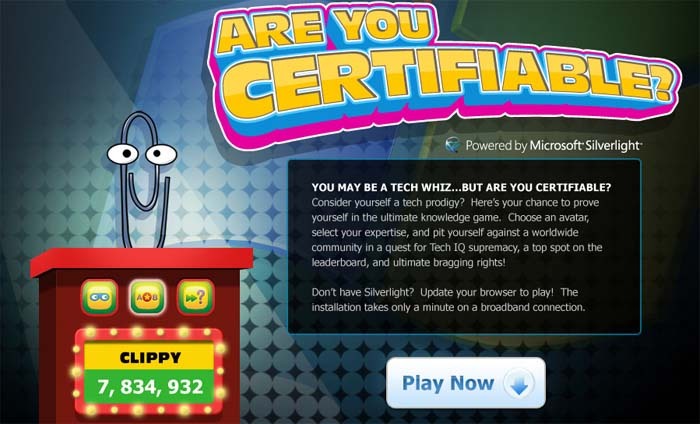 Find out more about Microsoft Certifications. I'm an instructor. How do I integrate MTA Certification Exam Review Kits into the curriculum that I’m already teaching? The Exam Review Kits were created in a modular format so that they can be adapted for a variety of teaching scenarios. Each kit includes 20 lessons based on the topics covered in the associated MTA certification exam. You can select which lessons to use in your classroom, based on the curriculum you are already teaching..